ProMed Prototypes fills a market void by offering customers real molded parts, made from a wide variety of materials, all in about one week. This business unit further aligns ProMed Molded Products to its organizational goal of supporting customers’ need to get products developed, launched, and released to market faster and for less cost than their competition. Our team of prototyping experts offers complete in-house mold design, mold build, and prototype component manufacturing. Allowing ProMed to serve its customers throughout a product’s lifecycle decreases production development time, development cost, and production piece part price due to critical manufacturing information learned through prototyping. ProMed Prototypes offers quick turn prototypes that are completed in about one week. This lead time includes tool design, tool manufacturing, prototype manufacturing, cleaning, packaging, and shipment. ProMed provides customers a distinct advantage because in the world of product development, time is money and getting a product to market before the competition is a key to success of long-term business strategy. When your device is ready for full scale production, ProMed Prototypes’ manufacturing knowledge will be transferred to the New Product Development department of ProMed Molded Products for pre-production runs, validation, and ongoing production runs. Dedicated quality system, facilities and personnel support the activities necessary to develop and manufacture these drug eluting components. Working with both established and early-stage medical device and pharmaceutical companies, we develop robust manufacturing processes and platforms for the controlled release of drugs from a variety of materials. ProMed also has more than ten years of experience in serving the aerospace and defense markets. We offer quick turn silicone molded prototypes of nearly any geometry and material type, along with complex assembly and over-molding prototypes for the aerospace market. ProMed Prototypes has leveraged its experience to become a leader in providing precision quick turn silicone prototypes to the aerospace and defense markets, along with ProMed Molded Products taking many aerospace and defense products into full production. ProMed Pharma, offers quick turn pharmaceutical prototypes for drug eluting and drug delivery components, among other pharmaceutical, medical device, and combination products. ProMed Pharma focuses on silicone and plastic pharmaceutical prototypes but has extensive experience in final product assembly and packaging as well. Designing a silicone component can be a challenge when trying to balance design for manufacturability and the optimum design for end use. The ProMed Prototypes Engineering staff can help guide customers down a path to success utilizing years of experience and extensive knowledge. Additionally, customers can purchase prototypes made of several different materials, then test the various products in their application to determine which material type best suits the demands of the product. Our prototypes are molded using custom (dedicated) metal tooling that is guaranteed for hundreds of parts and most tooling can run nearly any type of silicone and other materials without modification. Designing a product for silicone molding can present a unique set of advantages that you cannot find in other materials. ProMed Prototypes relies on years of experience in working with silicone to help our customers take advantage of the benefits of working with silicone. Our engineering team can help you optimize your design for silicone molding, potentially saving you time and money while providing you with a design that is optimized for molding. ProMed Prototypes has partnered with world-class suppliers of materials to achieve the best possible solution for your product. Alongside these partners, we continue to improve and develop materials and processes to meet or exceed customer standards and excel in design for manufacturability. We offer standard 20-80 Durometer LSR and Gumstock (HCR). We also have many additives available for your components such as: implant-grade colorants, Titanium Dioxide, Barium Sulfate, Teflon (PTFE), any many more. Custom materials and additives are available upon request and we can also produce parts from customer supplied materials. The average cost of a prototype order is $1,500 -$3,000 this includes the initial mold cost and up to 10 samples. Additional piece part prices range from $8-$40 depending on the volume and part complexity. Try our online quote request form to learn more about your component. Components usually can be produced in 5-7 business days with expedite options available for certain requests. Lead time information will be included as part of our online request for quote process. ProMed Prototypes typically achieves tolerances of ± 0.005” of the dimension, but does not guarantee it. If you have a dimension that is more critical than that, please discuss it with our dedicated engineering staff to provide a solution. ProMed Prototypes can generally do any part that will fit into an 8″x8″x6″ cube and Micro/Nano parts are not a problem. We offer assembly, die cutting, over molding, gluing, bonding, potting, and nearly any other manufacturing operation that is requested. Please contact our dedicated engineering staff for more information. Request for quote: Simply enter your request information on our website or by calling to one of our sales engineers at (763) 331-3800. The quote will be completed by our experienced estimating engineers within 24 hours, after which, a response email is returned to you that verifies your information and supplies you with an itemized quotation for tooling and the number of parts requested. Customer Order Entered and Tool Designed: Once the customer places the order, either online or over the phone, our tool designer begins designing the mold immediately using Design For Manufacturing guidelines. Tooling Ordered and Received: The mold is either ordered from our outside tool-maker or made in the new tool room available to ProMed Prototypes. Also in this time, the material is mixed and the equipment is prepared to start molding parts. Parts Molded through Parts Shipped: Once the mold is received, the parts are molded, trimmed, inspected, washed and packaged all in the final days of the process. Within one week, parts are ready to ship to the customer. After the part has been prototyped and it is ready to go to production, ProMed Prototypes will transition the product to ProMed’s New Product Development team. ProMed’s New Product Development team will take the manufacturing knowledge from the prototype and fully develop a manufacturing process for your part including OQ, PQ, and process validation. ProMed Rapid Prototypes fill a market void by offering customers real molded parts, made from a wide variety of materials, all in about one week. Aluminum (soft) tooling is created and parts molded in an expeditious fashion. Opposed to 3D printing options that offer “similar” materials to the real thing, ProMed’s Rapid Prototype Department offers molded parts using the specified material. As soon as the part model is received we begin the tool design process for your project. Customers can choose from dozens of material options ranging from implantable grade silicones to industrial grade plastics and a variety of other materials in between. Parts made from specified materials provide design engineers with valuable information when conducting proof of concept and form/fit/function testing. Knowing your prototypes are like a production part as anything available in today’s market, brings confidence that your design will meet the intended use. Call us direct to request a quotation or use our RFQ form. When the time comes that you require parts to be qualified, ProMed’s Technical Center team takes over, creating hardened tools and developing a process that can be fully validated and is repeatable on a large scale. We know how important it is for you to get your product to market quickly to meet critical market windows. When you require more than engineering samples, ProMed’s NPD (New Product Development) team takes over. The NPD team works out of the Technical Center, a self-contained, department within a company. Having their own equipment, personnel and material, the Technical Center group can support new projects in a timely manner without interrupting production activities. We offer design assistance, help with material selection and supply chain management. Parts are molded within a Class 10,000 cleanroom utilizing 420 stainless steel molds. 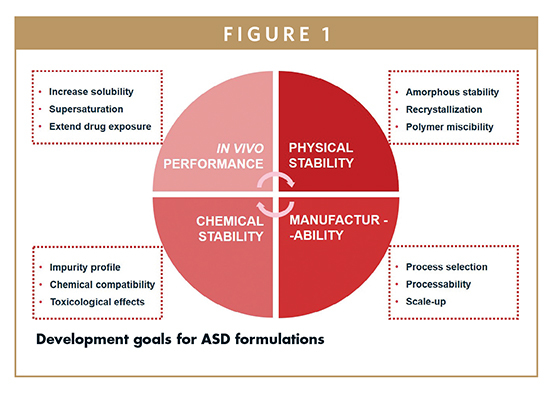 Tooling can be validated by performing thorough developmental studies following GMP guidelines and establishing and correlating measurement methodologies.